ConnectIt-Workflow QuoteWerks Document Split Module allows the QuoteWerks user to partially convert a quote or order for partial-ordering or partial-invoicing purposes. ConnectIt-Workflow QuoteWerks Document Split Module tracks the originally quoted/ordered quantity against the quantities appended to partial orders/invoices. One or more QuoteWerks documents can be created from the original immediately or over time. Removes the need for manual conversion and duplication of documents when the QuoteWerks user wants to part-order or part-invoice. Avoids items on a quote/order not being ordered/invoiced by tracking the quantities that were originally quoted/ordered against the quantities ordered/invoiced. 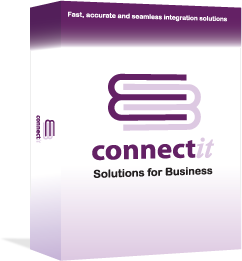 Straightforward to install and set up with user-friendly configuration screens and lots of options to get ConnectIt-Workflow QuoteWerks Document Split Module working for your business. Checks the source QuoteWerks Document Type and Status before creating the specified new Document Type in QuoteWerks. Allows the user to set whether the total quantity from the QuoteWerks Document Line Item is allocated to the new Document, or just part. Tracks what Quantity of the QuoteWerks Document Line Items that have already been allocated and prompts the user if they over-allocate. Copies all information from the QuoteWerks Document Line Item - Part Number, Description, Cost Price, Selling Price, Vendor, Custom Text field values, etc.